Corporate Alcohol for Events and Promotions - Request Your Quote. Looking for alcohol for a corporate event or promotion branded with your company name? Here at Personalised Bottle Labels we can provide ANY alcohol with a bespoke label professionally designed by one of our graphic designers. We will source the alcohol, brand it with your company details and deliver your order within days! Simply complete our quote form and we will reply the same day with a competitive no obligation quote. 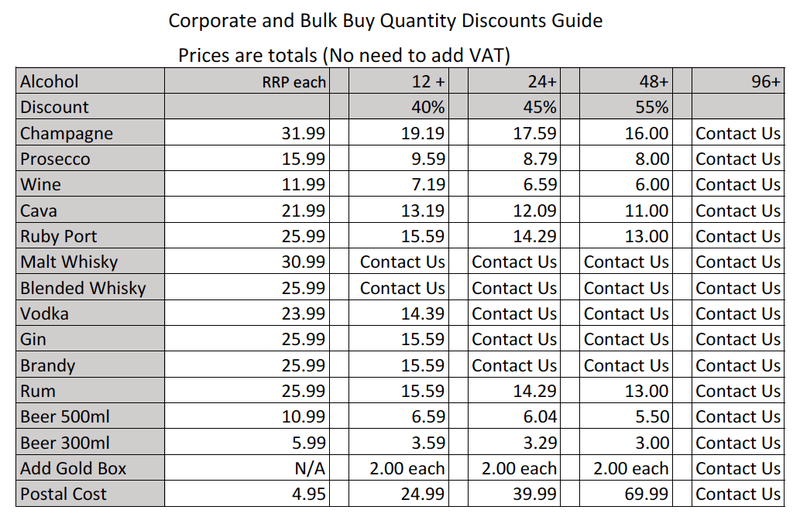 View our basic price guide below. Please use the contact form to get your up to date quote today! Download the price guide here. REMEMBER: Our prices are totals!! NO NEED TO ADD VAT! Any other details to tell us?